Rel canonical, a.k.a. rel=”canonical”, is an HTML element that helps prevent duplicate content appearing on search results by specifying the webmaster’s preferred version of a particular web page. This element, or tag, is placed up in the header of a website. 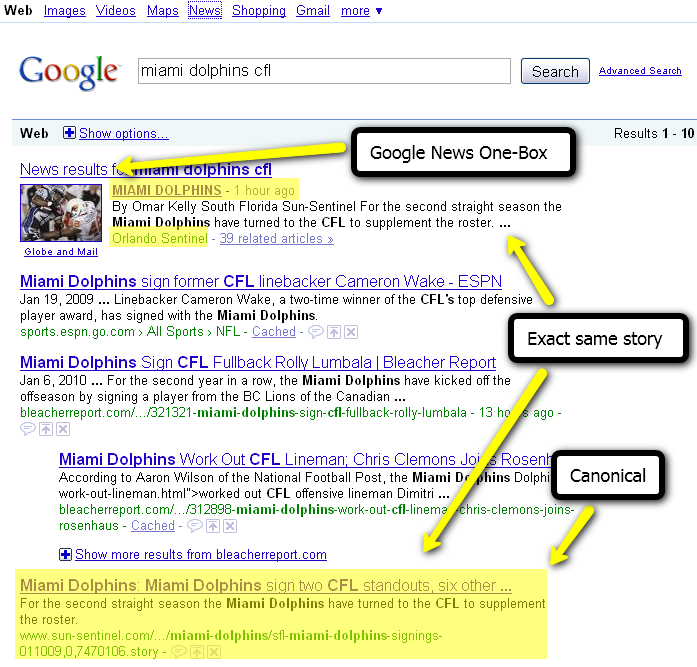 Google, Microsoft, and Yahoo all support the rel=”canonical” when producing their search engine results. Duplicate content usually happens when the same information is available on multiple URLs (think a shopping page with items listed by price, type, date). This can occur within the same website or when content is on one website and then used on another site. It’s important to take steps to avoid duplicate content, as not only can it be confusing for users, it can also adversely affect your search engine rankings. Just because the rel=”canonical” is an available option for duplicate content doesn’t mean it’s a best practice. Though Google has stated that it would honor the rel canonical tag, it prefers the use of 301 redirects. Google’s algorithm can choose to either follow or ignore the tag, but it is typically taken into account along with a number of other signals. Though you may want search engines to follow each command you give them, for the sake of their search users, they take more into consideration so that users get accurate information. Making it optional also helps to cover for you if you have made a mistake in your coding. If you happen to make an unavailable page canonical, other factors will come into play to determine whether a particular page appears in a link back to your site on a search. When to Use Rel Canonical and When to Avoid it? This is perhaps one of the biggest benefits of the rel canonical tag. Domain name changes can be a pain for both you and your visitors, but by using the tag as an indicator, you can send searchers directly to the page on the site where you want them, rather than sending them to a redirect page. Redirect pages can deter visitors and potentially cost a site hits or sales. If, say, you operate a shopping site that carries a number of different colors of the same table, it would be appropriate to link to the most popular color. However, using the rel canonical tag on an entirely different make and style table would not be appropriate. Another good use of the rel canonical tag is when you have a new website and you want to include content from a prior website on your new website but you can’t access your old website to add the 301 redirect code. In brief, only use rel canonical when a 301 redirect is not feasible. Don’t use rel=”canonical” as a solution to an and all duplicate content issues. Using the 301 redirects that Google prefers are slightly more complicated, but rel canonical tag is easy to implement on a site. Another great use for the tag is to sort between otherwise identical sites developed for the web and mobile browsers.